The Pheasant (Phasianus colchicus) was introduced to this country (Great Britain) from Asia in the Middle Ages and is probably the best known of all game birds. The male is particularly colourful with an iridescent dark green head and coppery brown upperparts. The female, which is smaller than the male, has brown plumage and is less variable in colour. 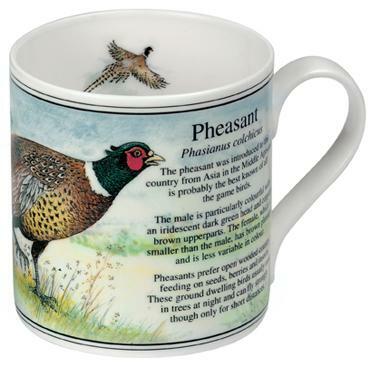 Pheasants prefer open wooded country, feeding on seeds, berries and insects. These ground dwelling birds usually roost in trees at night and can fly strongly though only for a short distance.